Migraines are a common problem for athletes, and one reason that is often cited is the amount of exertion they have to put forth in training and during play. Even improperly fitted sports equipment may lead to migraines. However, the biggest factor in migraine occurrence when it comes to sports is trauma. When trauma occurs to the head and/or neck, migraines may be experienced in the aftermath. A blow to the head may cause a concussion, and migraines are a common post-concussion experience. However, it is important to note that a person does not need to be knocked unconscious to have sustained a substantial injury. Despite safety equipment, the sports that most frequently see these injuries include soccer, football, wrestling, and volleyball. For soccer and volleyball players, head and neck injuries most frequently occur when a player “heads” the ball. This may repeatedly be done—especially in practice. Regardless of the reason an athlete is experiencing migraines, but especially if the problem is trauma related, the underlying issue may be a misalignment of the C1 and C2 vertebrae. Such an injury is common when head and neck trauma occur. Unfortunately, even a slight misalignment of these bones that are located at the base of the skull may exert a powerful effect on the nerves, blood flow, and cerebrospinal fluid drainage. Migraines can result. At Symmetry Health Chiropractic, we use the NUCCA technique to examine and adjust patients with this specific type of misalignment. If an examination and diagnostic imaging reveal an upper cervical misalignment, a gentle correction is used to coax the bones back into position. 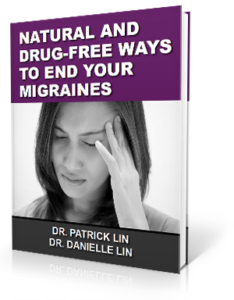 This gives the body time to heal and may lead to fewer or even complete relief from migraines.